Oktoberfest Cruise-In at the Petersen - Oct 12!!! 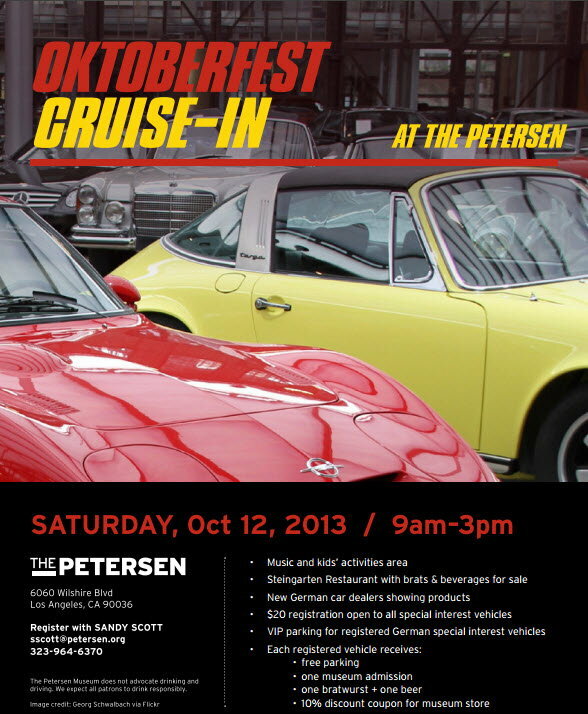 The Petersen is hosting Oktoberfest Cruise-In Saturday, Oct 12th from 9am - 3pm. Last edited by Mark at Pelican Parts; 09-18-2013 at 04:04 PM..